How Many Meanings Can a Biblical Text Have? 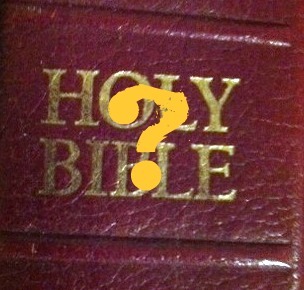 How many meanings can a biblical text have? Here is a good question—and a pertinent one. In Sunday school classes from coast to coast, in small group Bible studies, in house groups and house churches, this principle question is tested week after week. Is it not quite common for a group of believers to sit around and say in turn, “To me, this text means…?” Some house churches even pride themselves on an equal meaning principle which says that no one is to be viewed as an authoritative preacher or teacher. All share equally in interpretations. But there are good reasons such careless language needs to be clarified and avoided. A biblical text can have only one meaning, except in the rare cases in which the author uses double entendre (an intentional double meaning)., If a text is able to mean different things to different people, then, ultimately, it doesn’t mean anything at all. Here is the correction that is needed: Texts mean what the author intended them to mean. So meaning is bound by authorial intent. Such a bound meaning means that our work is to dig through the author’s writings to determine how he uses words and phrases, thus discovering what he intended to say when he put ink to parchment. This differs from common practice in three ways. 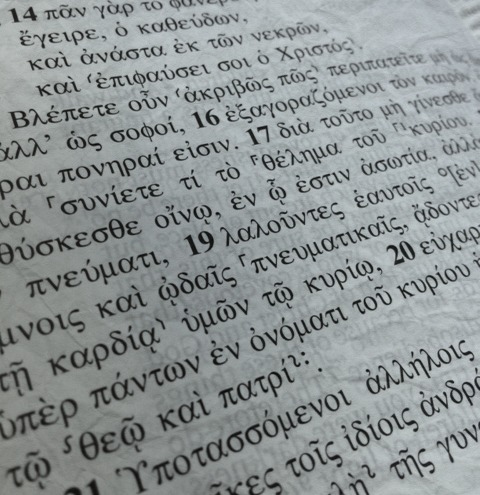 The real work of a preacher or teacher begins with digging into the Scriptures to determine what the author meant for the reader to understand when he wrote the text. Obviously, a myriad of mitigating circumstances can make this task quite difficult. Our culture is not like David’s culture from 3,000 years ago. Our languages are different, too; and language differences always cause problems. Yet, there is a meaning the author willed, and that meaning is our original exegetical task. At this point, we need some clarification. Usually, when our Christian brothers and sisters sit in a circle saying “to me, this text means,” they are not actually speaking of the meaning of the text; rather, they are speaking of their understanding of the text. So, technically, they might say, “My understanding of this text is….” Of course, our understanding could be wrong. We might misunderstand. The meaning itself is unaffected by our error. It is our understanding which must be corrected. What is the clear meaning? Be wise. Don’t drink yourself to drunkenness. Rather, seek to fill yourself with God’s Spirit for the good of God’s people. (See vv. 15-21 for the reason that I added wisdom and fellowship to my interpretation of v. 18). Ephesians 5:18 has a single meaning. My interpretation above represents my attempt to put into words Paul’s meaning. Like my understanding, my interpretation could also be wrong. Still, Paul’s meaning stands. Assuming that I am right about my interpretation, I can then move to an application from this text. The point of the verse is to practice wisdom, being filled with the Spirit for the good of others, while avoiding drunkenness. So, I could apply this to my own life and say that I will not get drunk on any alcoholic beverage (beer, bourbon, or wine). Others might realize that for them this would apply to their need of avoiding marijuana or narcotics. Paul’s meaning stands, even while the application to our lives differs. These clarifications may seem like a nit-picking of words. But there is an enormous cost to saying that a text has many different meanings. If a text can mean different things to different people, then who can say that the cult leader David Koresh was not the Lamb of Revelation 5? Koresh believed that Revelation 5 spoke of him and his ability to open the scrolls (see here). Hmmm… I think he was wrong—fatally wrong—and guilty of distorting the Scriptures to his own destruction (cf. 2 Peter 3:16). There is a right way to interpret Scripture and a wrong way. And the right way is to begin with the author’s intended meaning. Let’s be helpful to our brothers and sisters in our small groups and Bible studies. Let’s encourage each other to share interpretations of the Scripture together and to tell how the Holy Spirit is leading us to apply those Scriptures in our own lives, but let us all agree that God led these authors to write certain things with single meaning and purpose. Our work is to pursue that meaning and purpose and obey it joyfully, while honoring our pastors and teachers who pay extra close attention to such things. See for instance John 2:19-22, in which Jesus speaks of the temple of his body, but the disciples obviously understand the temple to be in Jerusalem—but realize the full meaning of Christ’s teaching after his resurrection. The principle of single meaning was affirmed in Article VII by the 1982 International Council on Biblical Inerrancy. This entry was posted in Good Theology, Pastoral Issues and tagged Author Intent, Biblical Theology, hermeneutics, interpretation, Meaning. Bookmark the permalink. ← What Good Is Hell?